Vienna Barleyweisen Oktoberfest 10 gallon all grain batch / with 3 experiments | Kodiak Brewing: Beer, Wine, Cider, Mead Blog. 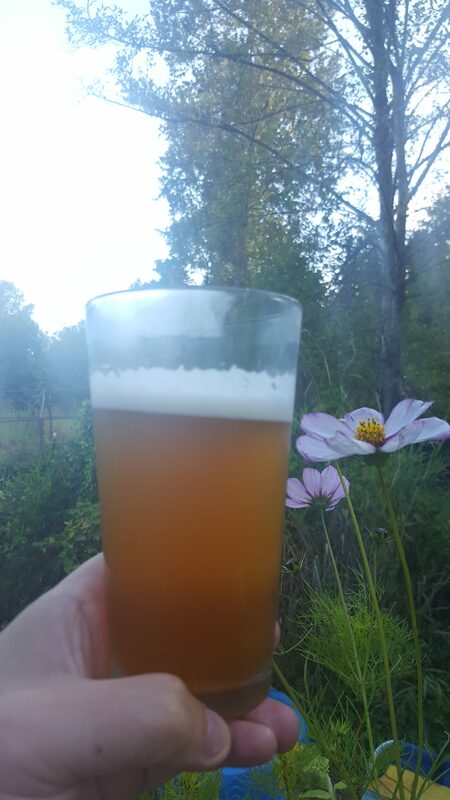 Latest update: at 4 weeks this beer should clear up quite nicely and taste considerably better if you have chilled it at serving temperature compared to only 3 weeks, 1 extra week will make quite the difference. It comes with an immediate hint of clover, and just smooth good beer, super easy to swallow and you want more! This is a great Oktoberfest beer! The aroma and flavor comes largely from the yeast and is decidedly fruity (banana) and phenolic (clove). “Weizen” means “wheat” and “hefe” means “yeast”, but we are not using any wheat, just to be clear. Also to capture as much hop aroma and flavor we are adding very little hops at start of boil (only about 5 IBU) and the remain goes at the end. 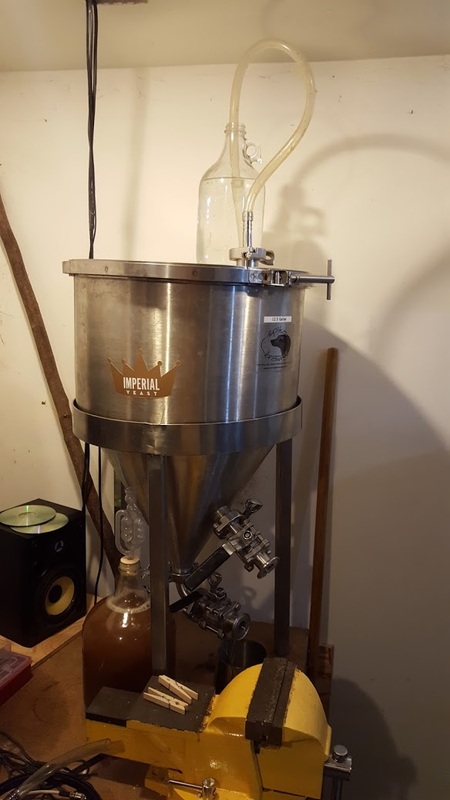 Mash – started at 135-F and slowly using an electric PID control raised it to 152-F and kept there for an hour. 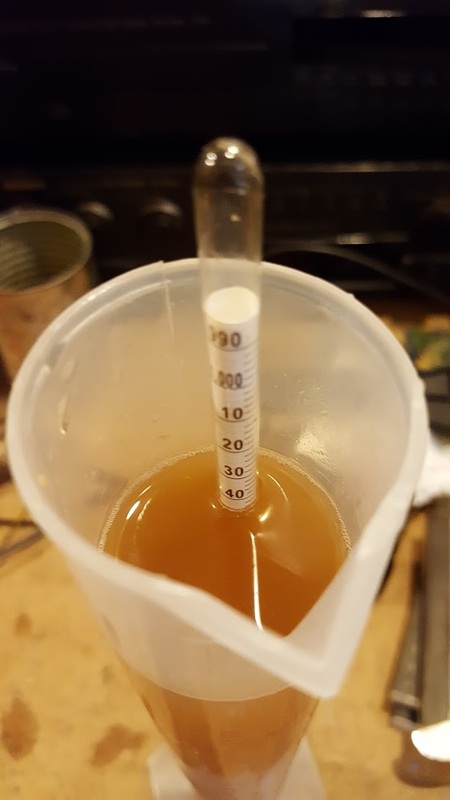 In the main fermentor 11.5 gallons – we used the “Imperial Stefon” – for the goal of this brew Barleyweizen, as we are using the classic Wheat yeast, but in barley. 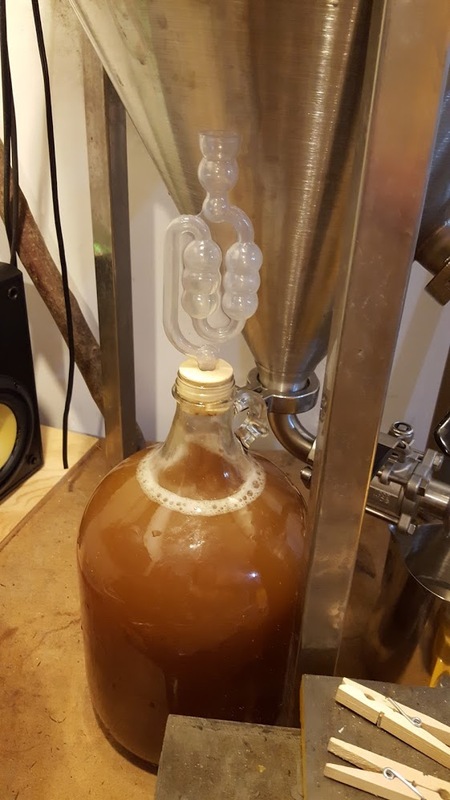 In a 1 gallon jug – we used a reclaimed “Imperial Barbarian”, this yeast was about 6 months old and it still worked out well, we did do a starter to help it wake up, it was a bit slow to start – but it did and is still fermenting nicely / anything older than 6 month is a risk. Since we used an IPA yeast, this will come out different – but we wanted to see how this SMaSH comes out using different yeasts. In a 1/2 gallon grower is put that by the window (open-ferment) to see how that will work out, it was a nice calm summer day, so this will be a natural inoculation by wild yeasts, that took a few days to take off, but there was activity with “krausen” / then the next day a tin foil was put on top of the glower. 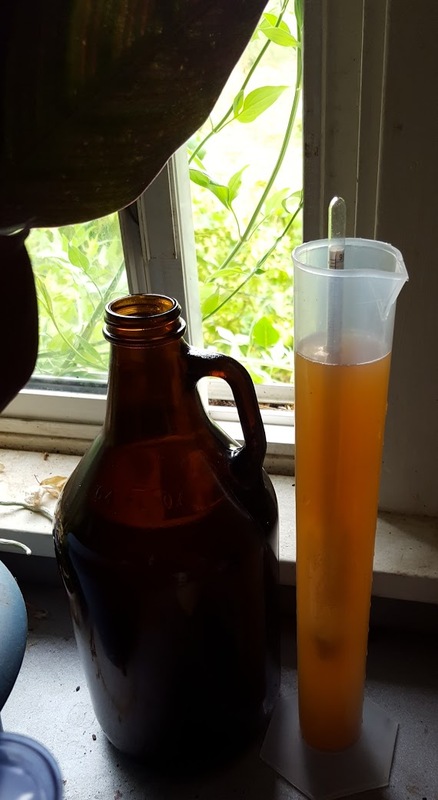 As mentioned we put half a gallon from this brew by window to open ferment. It did ferment well all the way down to 1.007 / but the type of yeast it picked up wasn’t what we wanted. It smelled very strongly of fusel alcohol/paint thinner or nail polish, so it went down the drain. We learned quickly, nothing lost, nothing gained. 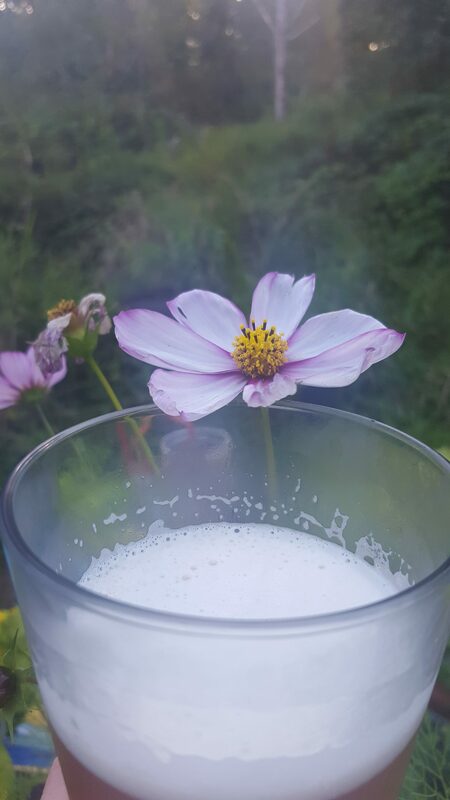 This entry was posted in BEER Recipes. Bookmark the permalink.